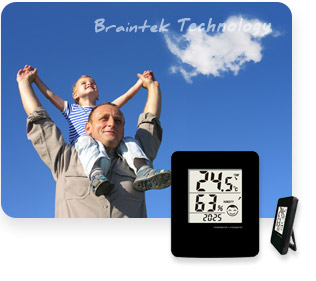 Braintek Technology Co., Ltd. was established in 1982 in Taipei, Taiwan , over the years, we have continued efforts , develop and deepen our products , all adhere to the non-compromise quality and innovation , Specializes in manufacturing high quality electronic Consumption (Pedometer , Pedometer G-Sensor , 2D Pedometer , 3D Pedometer , Network Pedometer , kitchen Timer , LCD Multifunction Timer , StopWatch , Hygro-Thermo Meter and heat-stroke meter) of development , design and marketing. 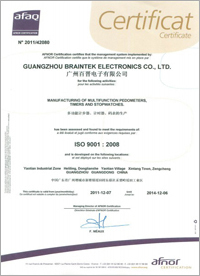 And obtained ISO 9001 , CE international certification , and has a number of patents in the world , and in compliance with RoHS requirements of green products manufacturing capabilities . Our factory was established in Guangdong Province, China, In order to provide the best service to customers around the world , It has become a professional manufacturer of electronic consumer goods, so it provides integrated operations from development, production, processing, assembly to packing and delivery. all products are subject to stringent quality control , and creating value for customers at the most competitive cost and prompt delivery , and adhere to the " Customer First " philosophy , to customer service. Aside from the enthusiastic , friendly , perfect service also. We insist , through professional services , provide a wide range of goods to meet the real needs of our customers . We have a team of experienced and professional, presently, in addition to focusing on continuous development and manufacturing of existing products, will also provide technical support to customers to develop electronic products. Also Welcome customers of OEM , ODM orders or plans of the new project .